I love the change of seasons when it comes to my table linens. Since I am in the business of bringing new and wonderful things to our customers, I am constantly being inspired and tempted by new and beautiful table linens. So, I use the change of seasons to change my look on the table. With the addition of outdoor entertaining, we lean towards more casual dining in the summer. 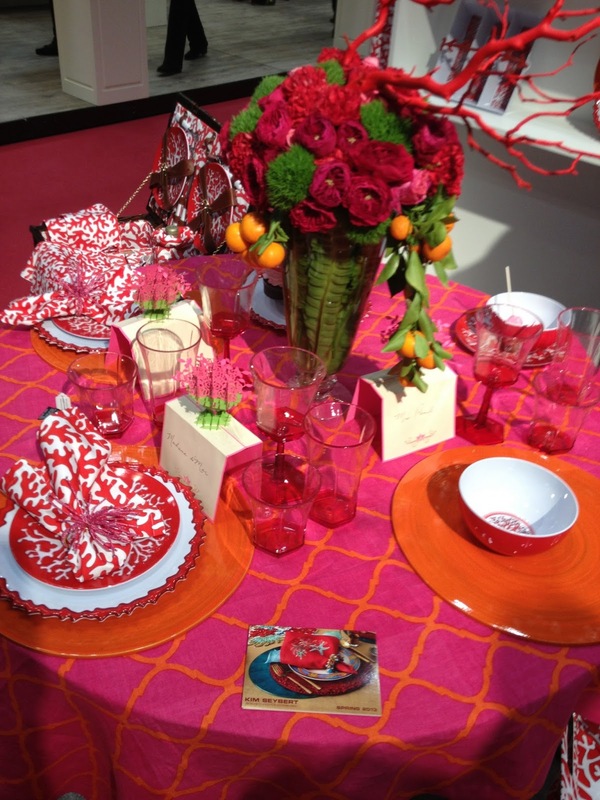 and we can have a little fun with colors we might not incorporate into our table style otherwise. 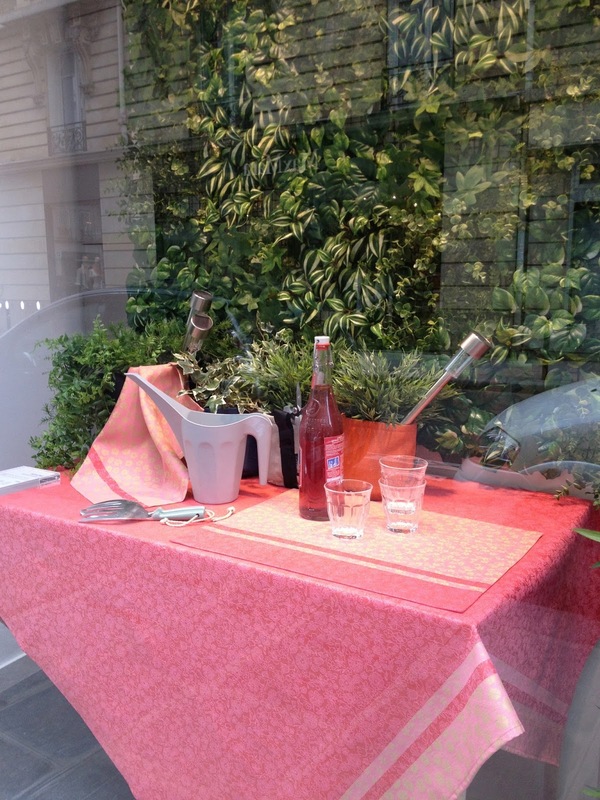 So, in this post I share with you some of the summer table inspirations for the season. Mangez-bien! A sherbet colored table display in the Le Jacquard Français store in St. Germaine de Pres, Paris. Easy care linens great for everyday, poolside, and countryside picnics. I splurged on some D.Porthault table linens last year and I use them all the time when entertaining in Paris. The table cloth is a work of art! Linen napkins with white banding just speak to my summer table! 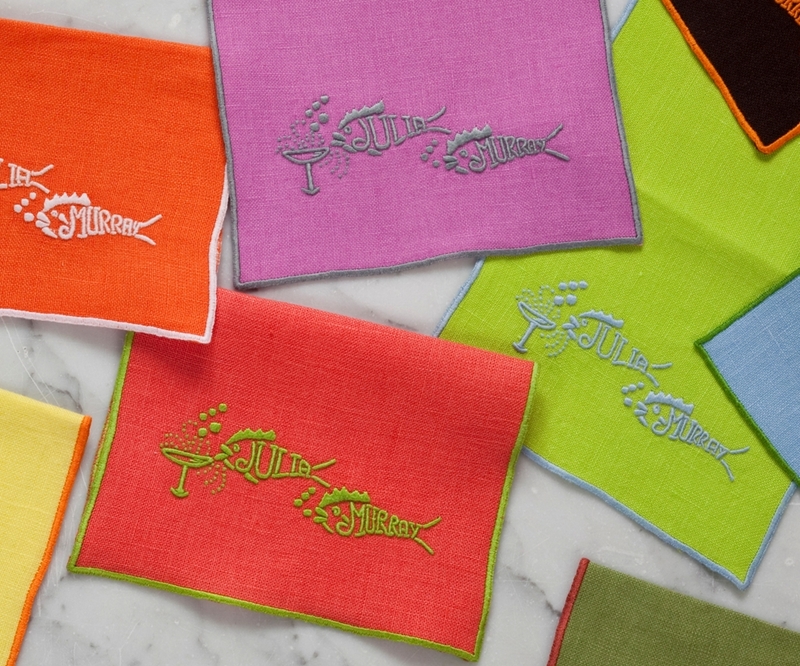 Personalize these adorable cocktail napkins by juliab. A great hostess or wedding gift, and a true conversation piece for a linen collector like me! My first thought when seeing this combination of yellow and blue is to add a vase of sunflowers! 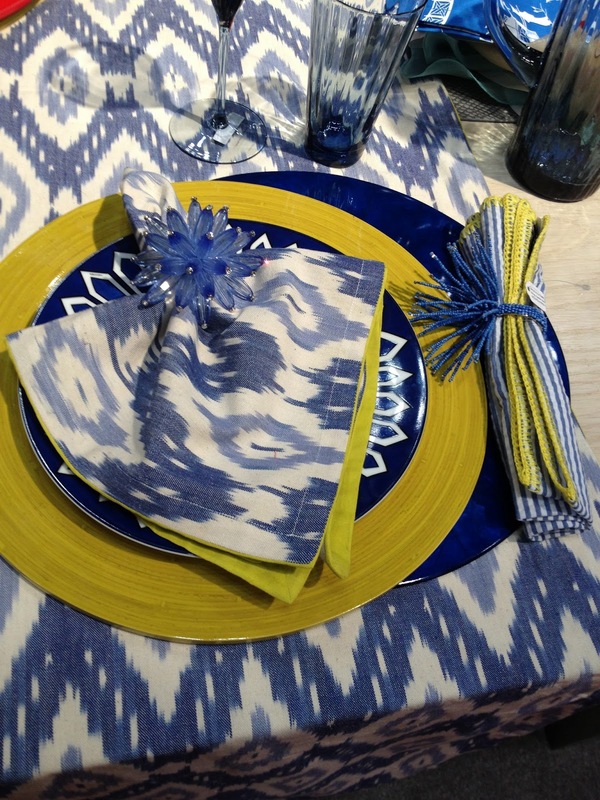 The Ikat print is great because you can take it into fall entertaining as well.